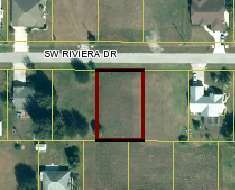 GREAT RESIDENTIAL LOT IN SUNNYBREEZE HARBOR SUBDIVISION. The perfect place to build your dream home with the newly Sunnybreeze Golf Course just down the road, the boat ramp leading from the Peace River and only minutes to the gulf is right around the corner and shopping, entertainment, hospitals, medical offices and I-75 within 10 minutes. The seller will consider owner financing with 20% down with the remainder at 5% for 60 months. Enjoy peaceful country living with your boating and golfing lifestyle all at a wonderful price. This is a wonderful community to call home!